Tactical guide for points, miles, and free money! Over a year ago I wrote a post praising Chase Ultimate Rewards (UR) for their versatility. I gave several examples when Ultimate Rewards were crucial to my trip planning efforts. In these examples, the versatility of these points made all the difference. My first ever points redemption. I transferred UR points to United to book the airfare. Our 10 year anniversary vacation (part 1) to Jamaica. I transferred UR points to Southwest to book the airfare. Our 10 year anniversary vacation (part 2) to Europe. I transferred UR to backfill my United Airlines account to book our return flight. 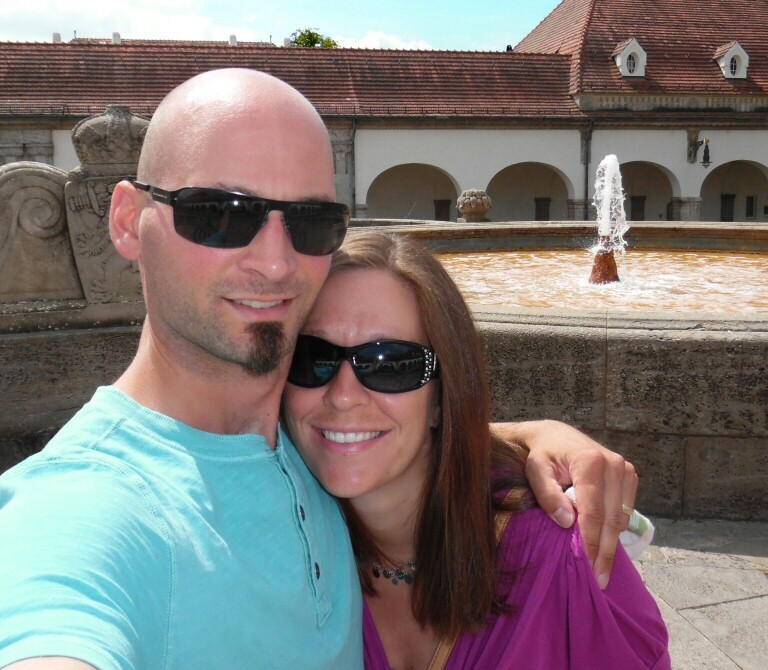 Nicoleen and me in Bad Nauheim, Germany, on our 10 year anniversary trip. Our long weekend in Costa Rica. I used UR to back-fill my Hyatt account so we could book a third free night at the Andaz Papagayo. Nicoleen’s surprise birthday vacation to Miami Beach. I transferred UR points to British Airways to book the outgoing American Airlines flights and transferred UR points to Southwest to book the return flights. My upcoming summer trip to Europe. I pumped up my United Airlines account with UR points so I could book a 1-way business class seat to Zürich. 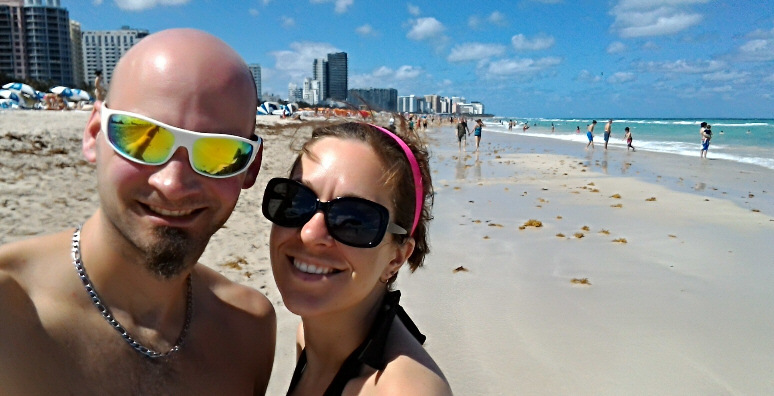 All our airfare (Southwest and American) for our recent Miami Beach trip was paid for with transferred Ultimate Rewards. What makes Ultimate Rewards so valuable? Chase Ultimate Rewards are considered a transfer point, meaning their most valuable use is to transfer to one of their partner programs. Partner programs include airline frequent flier and hotel loyalty programs. How do you get more value by transferring points? When cashed out, Ultimate Rewards are worth 1 cent each. 1,000 points will get you $10. When used to book travel through the Chase travel portal, the value per point gets a little better. Depending on which Chase credit card you have, they are worth 1.25 or 1.5 cents each. (1.25 for Chase Sapphire Preferred card holders and 1.5 for Chase Sapphire Reserve card holders.) When transferring to a partner program, the sky’s the limit. Ultimate Rewards transfer to Hyatt at a 1:1 ratio. I value Hyatt points around 3 cents each, so in this case, the same 1,000 UR points you could have cashed our for $10 could be worth ~$30 in hotel stays instead. Let’s look at my upcoming one-way United Airlines Polaris Business class seat to Europe. The flight was 57,500 United miles, most of which I transferred in from Chase at a 1:1 ratio. Let’s assume for this example that every last United mile I had was transferred in from Chase Ultimate Rewards. 57.5k UR points is worth $575 in cash, or $718.75 – $862.50 when booking airfare through the Chase travel portal. By transferring to United and booking the flight with miles, I got $3,346,66 worth of airfare with that same 57.5k points. That’s a whopping 5.8 cents per point! In the above examples it’s easy to see the incredible transfer value of Ultimate Rewards. But that’s only half the story. The real value in the variety of transfer programs associated with Chase. Don’t recognize your preferred airline? Keep in mind some of these airlines belong to huge airline alliances. For example, you can use United miles to book flights on Air Canada, Air China, ANA, Austrian, Lufthansa, Singapore Airlines, SWISS, and 20 more! You can even use Ultimate Rewards to book flights on United’s competitors. Korean Air miles can book flights on their partner, Delta. And British Airways Avios can be used to book American Airlines flights. Pick almost any destination you have in mind, and Ultimate Rewards can get you there somehow! Consider all the brands associated with these hotel groups. Hyatt alone includes: Park Hyatt, Grand Hyatt, Hyatt Regency, Andaz, Hyatt Centric, Unbound Collection, Hyatt Place, Hyatt House, Ziva, Zilara, Residence Club, and Miraval. Marriott’s recent merger with Starwood Preferred Guest opens that entire portfolio of hotels up to Marriott Rewards members, and points are transferable between the two programs at a 1:3 ratio. This is where I have found the true value of Ultimate Rewards. By having a stockpile of these transfer points, I almost never get screwed out of my vacation plans for lack of points. If I’m short a few thousand points or miles in a particular program, there’s a good chance I can back-fill my account with Ultimate Rewards through one avenue or another. 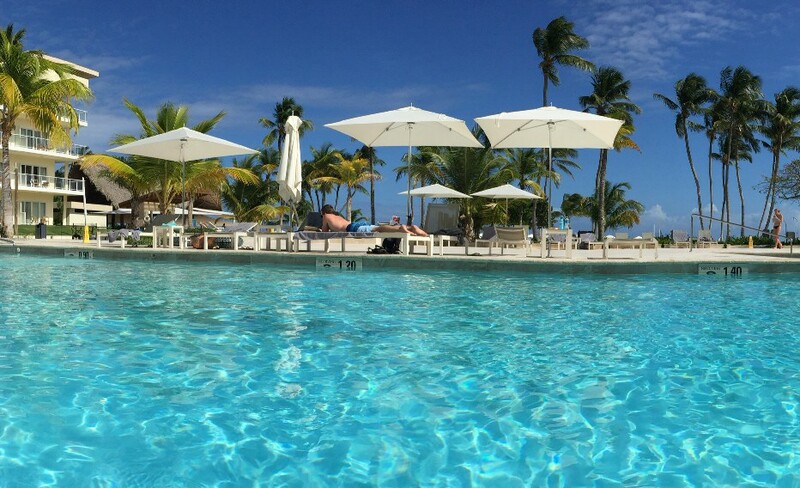 It’s easy to see how Ultimate Rewards have made many of my trips cheaper and more convenient. Several of them wouldn’t have been possible at all if I had not had a pool of Ultimate Rewards to draw from! Some of the Ultimate Rewards earning cards Nicoleen and I have had over the years. 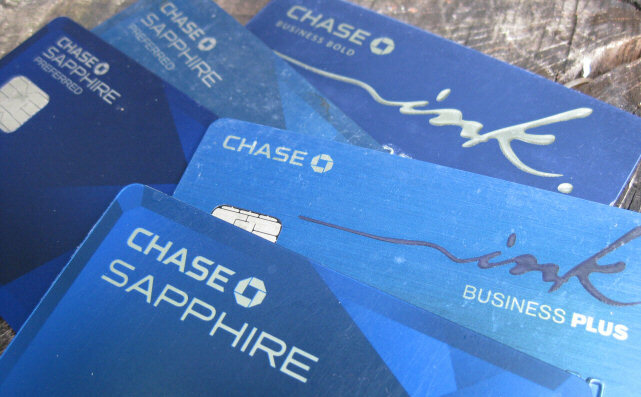 It’s impossible to know for sure if you’ll get approved for a Chase credit card. But there is one way to know for certain that you will not be approved: by violating the 5/24 rule. If you have opened 5 or more new credit card accounts (from any bank) in the past 24 months, you will be summarily denied any new Chase card. Even having an authorized user card for someone else’s credit account will count as a “new account” for determining your 5/24 eligibility. There are a few exceptions to the rule but they are uncommon. The value potential and versatility of Ultimate Rewards make them a desirable transfer point to have. Stocking up on these points early in your free travel career is a wise move. The difficulty of getting these points once you have a few cards under your belt is yet another reason to get these Chase cards sooner rather than later! Thanks for reading and remember to “like” the ValueTactics Facebook page and check back often! I love questions and discussions on all these topics! This entry was posted in Chase, Ultimate Rewards on April 29, 2017 by Gomanson. What Happened to the Free Gas Tactic? Chase Sapphire Preferred Get 45,000 55,000 Ultimate Reward points when you spend $4000 in 3 months! Click Here to see my review of the card.